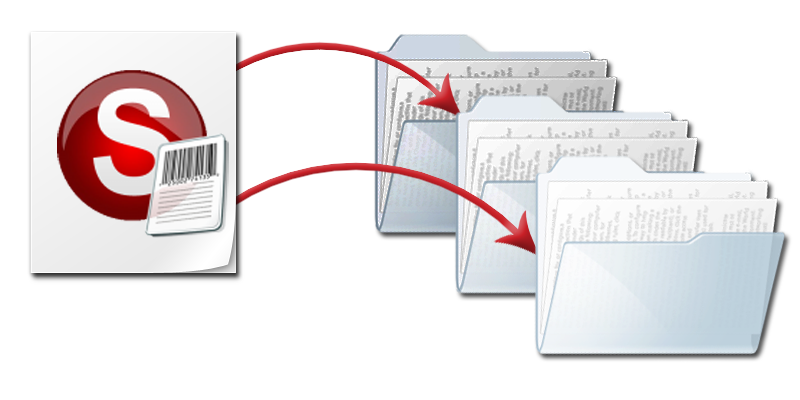 Service bureaus and scanning departments documents often need to scan old files that are organized and correspond to data from another application, such as a customer database. SimpleCoversheet can connect to the database and print coversheets for each file. These are placed in front of the files during preparation, eliminating all manual indexing from the process. Documents that are printed internally can use SimpleCoversheet to add a barcode to a blank space on the page so it can be automatically indexed when it is scanned. Coversheets are a great way to ensure that the person who indexes a document is the person that knows the most about how it should be filed. Users simply print a coversheet and place it on the document before it is sent to the scanning department. This puts indexing in the hands of the person that created the document and removes all manual data entry from the scanning process. Create generic coverpages with a fixed barcode that is used to indicate document breaks and automatically group together multi-page files. These can be printed in bulk and used whenever documents are scanned. Handprint field labels can also be added and filled out by scanner operators for quality control purposes. These can collect information like who prepped a document, who scanned it, when it was scanned, batch IDs and other tracking data. For more information on the benefits of using barcodes to automate document indexing Click Here.